There are very few occasions when I end up preferring a film/TV adaptation to the book, but Dexter most definitely managed it. 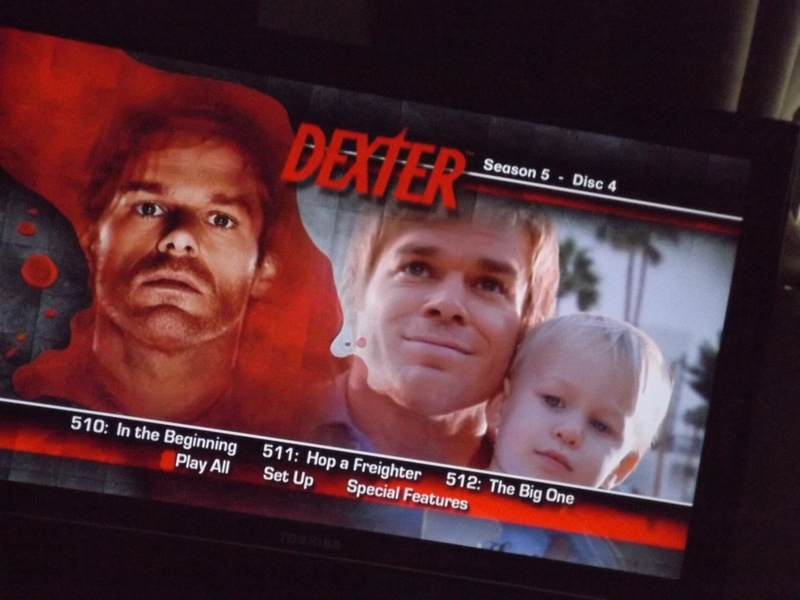 After the first ten minutes, I was hooked, and after finding out my boyfriend had never seen it, I took the opportunity for a re-watching of the emotional rollercoaster that is Dexter. For those of you who don’t know – although I’m disappointed if you don’t! – Dexter follows the double-life of blood spatter analyst Dexter Morgan, who solves crimes by day – yet commits them by night. Living by a strict, but questionable moral code, Dexter only allows his “Dark Passenger” to be unleashed on those who are fellow murderers. Based on the novel “Darkly Dreaming Dexter” by Jeff Lindsay, Dexter, was adapted from the book series into an 8 series long, best-selling TV series. Despite nearly always preferring the book, when I read Darkly Dreaming Dexter I was somewhat disappointed. Although it’s a brilliant concept, I found the writing to be a little poor and it didn’t engage me the way the TV show does. There are some major differences between the TV adaptation and book in terms of plot – which usually annoys me, but this time it appears to be for the better – the plot is engaging and unpredictable, and the TV show is one of the best I’ve watched in years. And being a Netflix addict with the capability of watching an entire series in a day, I’ve seen a lot. I think the thing about Dexter that really hooks you in is the complexity of all the different characters – they’re all pretty complicated at the start, but they all just continue developing over the different series. And while it follows the same concept, the writers keep it from becoming repetitive, continually coming up with new twists and ways to keep the audience engaged. However, the most commendable part is possibly the phenomenal performance of Michael C. Hall, who succeeds in playing both the pleasant, if slightly geeky lab tech, and the sinister serial killer. While I have slightly criticised the book, I would definitely recommend it for any fan of Dexter, as it provides an interesting perspective on the series and how the characters were created. It’s just a shame that the book was a slight let down! And even if you don’t feel like reading the book – the TV show is a definite must see. If there’s any avid Dexter fans, I would love to hear your opinions!